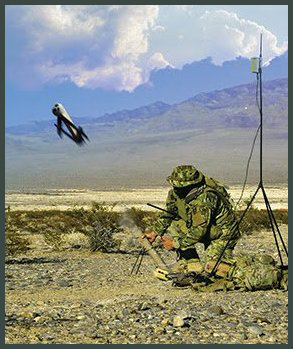 Advanced Warfighting Capability through training, technology and subject matter expertise! Retirement or separation does not have to stop your support to the team! Opportunities for SOF experienced professionals with an aptitude for managing R&D and procurements are available. Additional information is available through the “Careers” tab. RPM continues to expand available work by adding SUAS instructor positions. Put your tactical airspace deconfliction and instructor ability to work supporting the warfighter through instructing and supporting SUAS operations. Click on the “Apply” tab and submit your resume for this CONUS and OCONUS opportunity. Current positions are filled but you can still contact us with resume information for consideration in future openings. Rally Point Management is a veteran owned small business where 88% of the employees are veterans. The entire Rally Point team is proud to support active duty military training and operations worldwide and wishes to thank those currently serving and each of our Nation’s veterans for your dedication and service. Fort Walton Beach based Rally Point Management (RPM) employees added hurricane relief opportunities to their schedules over the last three weeks. Executives and employees provided volunteer support to the communities impacted by the recent hurricane. Leadership and employees of RPM assisted in preparing for landfall and then transitioned immediately into recovery assistance with tree clearing, supply delivery, and emergency facility repairs for families and farms in the hurricane impacted area. Some of the RPM team assisting elderly and disabled Mary Esther and Fort Walton Beach neighbors preparation of their homes while numerous others of the team began delivery of critical supplies as soon as the storm had moved through the area. “I never dreamed I would deliver food and water by canoe” stated one responder who also built new corrals for displaced livestock and assisted in establishing emergency supply chains to a remote farm. Another responder took climbing equipment to safely engage trees that posed an immediate danger and provide access to properties.